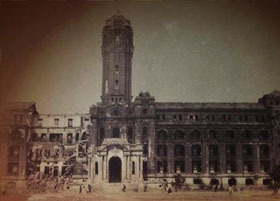 Japan helped Asian nations to become independent including Indonesia. Taiwan was given to Japan as a cession in 1985 when Japan won the war with China under the approval of the international society. Taiwan at that time was an undeveloped area where groups of burglars held the power in each area and China had a hard time controlling this island. Japan govern very well control there. Japan did not colonize this land, but instead reigned it as part of Japan, and the inhabitants were considered as Japanese. In fact during the 40 years when Japan was in reign over Taiwan, industries developed and there was such public peace which was rare in the world. Also opium was eradicated and high quality education was given in every part of the land. The high quality of the reign of Japan was clearly exposed because Kuomintan army came to Taiwan from the continent after the war. For those Taiwanese who received Japanese education and the social order, the Chinese who came from the continent were savage and arrogant rulers, which is typically shown in the February 28 Incident in 1947, when 28000 people were killed. Korea was not functioning as a nation, as in the article of ‘Korea before the Japan Annexation of Korea’, and it was obvious that Korea would be invaded by Russia. That is why Japan made annexation of Korea. In the same way as in Taiwan, Koreans were also considered Japanese but their privilege was even greater than that of Taiwanese to the extent that if they come to Japan, they could even run for the election to become politicians in Japan. It is said that Indonesia is a pro-Japanese country in general. It is shown in the fact that the year shown in their declaration of independence is not in 1949, but in the year of Japanese era. It was such a special thing because they used the Japanese era even though Japan lost the war. What Japan did after Indonesia threw Holland out of the country in 1941 was to prepare for them to be able to become truly independent as a nation. 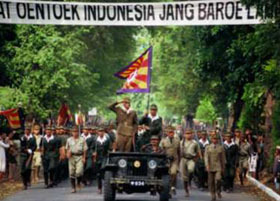 Even today for the parade of the celebration of the independence of Indonesia, they sing Japanese military songs. After Japan lost the war, Holland came back to Indonesia in order to colonize this country again. However, the Indonesia army which was trained by the Japanese resisted it. After Japan lost the war, more than 1000 Japanese soldiers who were waiting to return to Japan lost lives, by fighting againt Holland along with the Indonesians. According to the International law, it is illegal to participate in the war in such a way, because it is considered as deserter. But this fact shows that those Japanese soldiers had dreamed of an ideal of setting Asia free from the rule of Western powers seriously.